There is an apparent risk that the negotiations on the Brexit withdrawal agreement could break down over forthcoming proposals to address the Irish border controls issue. It is unfortunate that the UK government has not tabled its own treaty text or more advanced proposals for customs facilitation away from the borders. And it is tragic that the British public is burdened, in the form of their current Foreign Secretary, with one of the most incompetent politicians in British history – unable to grasp the obvious differences between levying a congestion charge at the border of London boroughs and the vastly more complex task of avoiding border checks between the UK and Ireland. Be that as it may, in advance of the Commission’s proposals due tomorrow, I have suggested (in Annex 1) a text on the Irish border issues for the withdrawal agreement, which reflects the joint report agreed in December (discussed here) as much as possible. For ease of reference, Annex 2 includes the relevant excerpt from the Joint Report. I have reflected the text of the joint report as faithfully as possible, with the exception of one contradiction which I could not reconcile. Some parts of the joint report appeared to me to be political commitments, so I suggest that they appear as Joint Declarations or UK-only declarations which would be part of the Final Act of the withdrawal agreement (this is a common approach to treaty drafting). On the key issue of “regulatory alignment”, my suggested text reflects that this is the third of three options, and so suggests deferring negotiation on the details until after Brexit day. This would also reflect the difficulty of negotiating the first or second option before Brexit day, and would reduce the risk of a collapse of the talks, which would jeopardise the two sides’ objectives on the border issue and the other issues at stake in the talks (the protection of EU27 and UK citizens’ rights, if they moved before Brexit day, and avoiding the economic impact of a WTO-only “no deal” outcome on both sides). However, this suggestion to support the UK government’s argument to defer the “regulatory alignment” issues presupposes that in the meantime the UK government puts full effort into the first option, proposing a customs facilitation treaty that would avoid border checks and a plan to give it effect. This should include any additional provisions which may be necessary to keep the UK’s commitments to ensure North-South cooperation functions on the island of Ireland after Brexit. If the UK government cannot do so then it should have the integrity to acknowledge that the promises on this issue made during the referendum campaign were false, rather than blame the EU or Ireland, or particularly Remain voters (whose concern about the possible complications was dismissed as “scaremongering”) for the consequences. Note that the “1973 reset” canard that “the UK and Ireland never had controls before” ignores the fact that the two countries never previously diverged as to whether they were EEC/EU members or not. And the notion of Ireland leaving the EU – against the views of 88% of voters – seems about as likely as the ghost of Eamon de Valera leading the next Orange order parade. I have proposed alternative wording, where relevant, to take account of the position of the current UK government, on the one hand, and of a potential Labour government (see my comments on Jeremy Corbyn’s speech yesterday) on the other. The withdrawal of the United Kingdom from the European Union shall not prejudice the operation of the 1998 Good Friday or Belfast Agreement, including its subsequent implementation agreements and arrangements, and to the effective operation of each of the institutions and bodies established under them. This gives effect to part of paragraph 43 of the Joint Report. Unlike the Joint Report, it does not refer only to the UK’s obligations. The United Kingdom and the European Union shall refrain from installing any physical infrastructure or related checks and controls at the border between Northern Ireland and the Republic of Ireland. This gives effect to the “no hard borders” part of paragraph 43 of the Joint Report. Unlike the Joint Report, it does not refer only to the UK’s obligations. 1. This Part is without prejudice to agreement on the future relationship between the European Union and the United Kingdom. 2. This Part is specific to the unique circumstances on the island of Ireland. This partly reflects paragraph 46 of the Joint Report. The paragraph goes on to say that the commitments “are made and must be upheld in all circumstances, irrespective of the nature of any future agreement between the European Union and United Kingdom”. However, this is inconsistent with the same paragraph saying that the commitments “will not pre-determine the outcome” of future talks; and it is questionable whether parties to a treaty can bind themselves as to what replacement arrangement they might agree in future. The provision on “unique” circumstances arguably points to a relaxation of the EU27’s “no cherry picking” rule. 1. Following the expiry of the [transitional] [implementation] period, the obligation in Article 2 shall be ensured by a [customs cooperation] [customs union] agreement to be negotiated before that date between the United Kingdom and the European Union, which shall include any additional provisions necessary to ensure the absence of physical infrastructure or related checks and controls at the border and the protection of North-South cooperation on the island of Ireland. This gives effect to the first option in paragraph 49: “The United Kingdom's intention is to achieve these objectives through the overall EU-UK relationship”. The first set of square brackets reflect the UK government and EU27’s different description of the period after Brexit Day. The second set of square brackets offers an alternative wording reflecting the current UK’s government’s position and a potential future Labour government position respectively. See also the proposed joint declaration 3. 2. In the event that the agreement referred to in paragraph 1 is not concluded, the United Kingdom will propose specific solutions to address the unique circumstances of the island of Ireland, and the parties will negotiate in good faith on that basis to ensure the absence of physical infrastructure or related checks and controls at the border and the protection of North-South cooperation on the island of Ireland. Reflects the second option in paragraph 49. 3. In the absence of on agreement pursuant to paragraphs 1 or 2, the United Kingdom will maintain full alignment with those rules of the Internal Market [and the Customs Union] which, now or in the future, support North-South cooperation, the all-island economy and the protection of the 1998 Agreement. The list of those rules shall be established by the Joint Committee within one year of the exit date. The words in square brackets would be removed in the event of a Labour government. This reflects the third option in paragraph 49. It adds an obligation to agree on the list of relevant rules within one year of Brexit Day, by which point it should be clearer whether discussions on the first or second options lead to a possibility of agreement. 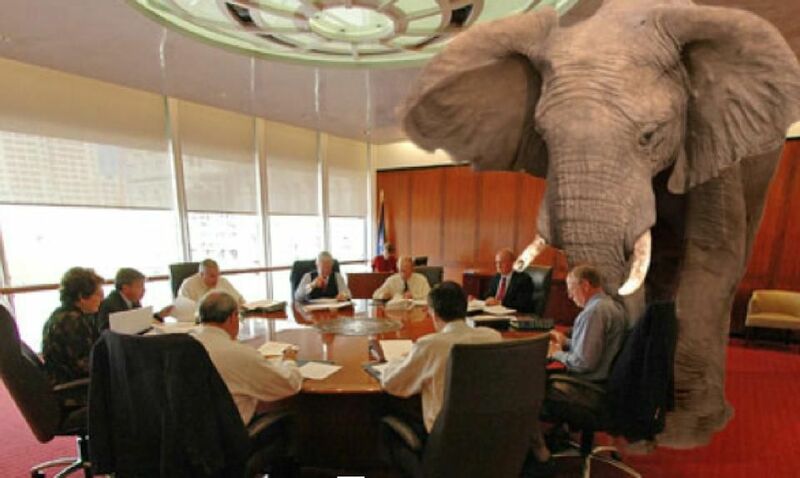 The case for deferring this discussion until after Brexit Day is that: a) it is premature in the absence of discussions of the other options; and b) it increases the risk that no withdrawal agreement can be concluded, putting at risk the intention to avoid a hard border as well as all the other objectives of the agreement. 4. Each party will establish mechanisms to ensure the implementation and oversight of any specific arrangement to safeguard the integrity of the EU Internal Market [and the Customs Union]. Based on paragraph 51 of the Joint Report. The precise intention of that paragraph is not clear. The words in square brackets would be removed in the event of a Labour government. 1. Both Parties respect the provisions of the 1998 Agreement regarding the constitutional status of Northern Ireland and the principle of consent. This withdrawal agreement is fully consistent with these provisions. The United Kingdom continues to respect and support fully Northern Ireland's position as an integral part of the United Kingdom, consistent with the principle of consent. Based on paragraph 44 of the Joint Report. 2. Cooperation between Ireland and Northern Ireland is a central part of the 1998 Agreement and is essential for achieving reconciliation and the normalisation of relationships on the island of Ireland. In this regard, both Parties recall the roles, functions and safeguards of the Northern Ireland Executive, the Northern Ireland Assembly, and the North-South Ministerial Council (including its cross-community provisions) as set out in the 1998 Agreement. Based on paragraph 47 of the Joint Report. 3. In order to give effect to Article 4(1), the parties agree to enter into formal negotiations as soon as possible after the exit date on the basis of the draft [customs cooperation] [customs union] agreement proposed by the United Kingdom. This would give concrete effect to the first option in paragraph 49 of the Joint Report. It presupposes that the UK tables a draft treaty as soon as possible in 2018. The options in square brackets offer alternative wording reflecting the current UK’s government’s position and a potential future Labour government position respectively. 4. Both Parties acknowledge that the 1998 Agreement recognises the birth right of all the people of Northern Ireland to choose to be Irish or British or both and be accepted as such. The people of Northern Ireland who are Irish citizens will continue to enjoy rights as EU citizens, including where they reside in Northern Ireland. This Agreement respects, and is without prejudice, to the rights, opportunities and identity that come with European Union citizenship for such people. Based on paragraph 52 of the Joint Report. That paragraph goes on to sate that “in the next phase of negotiations”, the parties “will examine arrangements required to give effect to the ongoing exercise of, and access to, their EU rights, opportunities and benefits”, but it is not clear what this refers to. 5. Both Parties recognise that the United Kingdom and Ireland may continue to make arrangements between themselves relating to the movement of persons between their territories (Common Travel Area), while fully respecting the rights of natural persons conferred by Union law, in accordance with the relevant Protocols attached to the EU Treaties. Based on the first part of paragraph 54 of the Joint Report, with an additional reference to primary EU law. 6. In accordance with Part X [financial settlement], both Parties will honour their commitments to the PEACE and INTERREG funding programmes under the current multi-annual financial framework. Possibilities for future support will be examined favourably, in accordance with Part Y [[transitional] [implementation] period]. Based on the first part of paragraph 55 of the Joint Report, with cross-references to the other parts of the agreement added. It would be odd if the UK were not consulted on the proposal for a future peace programme during the transition or implementation period, given that it is likely to be tabled in spring 2018 but perhaps not formally adopted until after Brexit day. 1. The United Kingdom respects Ireland's ongoing membership of the European Union and all of the corresponding rights and obligations that entails, in particular Ireland's place in the Internal Market and the Customs Union. The United Kingdom also recalls its commitment to preserving the integrity of its internal market and Northern Ireland's place within it, as the United Kingdom leaves the European Union's Internal Market and [Customs Union][enters into a Customs Union with the European Union]. Based on paragraph 45 of the Joint Report. The two alternatives in square brackets reflect the positions of the current UK government and a potential Labour government respectively. 2. The United Kingdom remains committed to protecting and supporting continued North-South and East-West cooperation across the full range of political, economic, security, societal and agricultural contexts and frameworks of cooperation, including the continued operation of the North-South implementation bodies. Based on paragraph 48 of the Joint Report. 3. In the event that Article 4(3) of this agreement becomes applicable, the United Kingdom will ensure that no new regulatory barriers develop between Northern Ireland and the rest of the United Kingdom, unless, consistent with the 1998 Agreement, the Northern Ireland Executive and Assembly agree that distinct arrangements are appropriate for Northern Ireland. In all circumstances, the United Kingdom will continue to ensure the same unfettered access for Northern Ireland's businesses to the whole of the United Kingdom internal market. Based on paragraph 50 of the Joint Report. 4. The United Kingdom commits to ensuring that no diminution of rights is caused by its departure from the European Union, including in the area of protection against forms of discrimination enshrined in EU law. The United Kingdom commits to facilitating the related work of the institutions and bodies, established by the 1998 Agreement, in upholding human rights and equality standards. Based on paragraph 53 of the Joint Report. There is an interesting question as to whether this was intended to become a binding obligation, in which case it should be reciprocated. 5 The United Kingdom confirms and accepts that the Common Travel Area and associated rights and privileges can continue to operate without affecting Ireland’s obligations under Union law, in particular with respect to free movement for EU citizens. Based on the second part of paragraph 54 of the Joint Report. 42. Both Parties affirm that the achievements, benefits and commitments of the peace process will remain of paramount importance to peace, stability and reconciliation. They agree that the Good Friday or Belfast Agreement reached on 10 April 1998 by the United Kingdom Government, the Irish Government and the other participants in the multi-party negotiations (the '1998 Agreement') must be protected in all its parts, and that this extends to the practical application of the 1998 Agreement on the island of Ireland and to the totality of the relationships set out in the Agreement. 43. The United Kingdom’s withdrawal from the European Union presents a significant and unique challenge in relation to the island of Ireland. The United Kingdom recalls its commitment to protecting the operation of the 1998 Agreement, including its subsequent implementation agreements and arrangements, and to the effective operation of each of the institutions and bodies established under them. The United Kingdom also recalls its commitment to the avoidance of a hard border, including any physical infrastructure or related checks and controls. 44. Both Parties recognise the need to respect the provisions of the 1998 Agreement regarding the constitutional status of Northern Ireland and the principle of consent. The commitments set out in this joint report are and must remain fully consistent with these provisions. The United Kingdom continues to respect and support fully Northern Ireland's position as an integral part of the United Kingdom, consistent with the principle of consent. 45. The United Kingdom respects Ireland's ongoing membership of the European Union and all of the corresponding rights and obligations that entails, in particular Ireland's place in the Internal Market and the Customs Union. The United Kingdom also recalls its commitment to preserving the integrity of its internal market and Northern Ireland's place within it, as the United Kingdom leaves the European Union's Internal Market and Customs Union. 46. The commitments and principles outlined in this joint report will not pre-determine the outcome of wider discussions on the future relationship between the European Union and the United Kingdom and are, as necessary, specific to the unique circumstances on the island of Ireland. They are made and must be upheld in all circumstances, irrespective of the nature of any future agreement between the European Union and United Kingdom. 47. Cooperation between Ireland and Northern Ireland is a central part of the 1998 Agreement and is essential for achieving reconciliation and the normalisation of relationships on the island of Ireland. In this regard, both Parties recall the roles, functions and safeguards of the Northern Ireland Executive, the Northern Ireland Assembly, and the North-South Ministerial Council (including its cross-community provisions) as set out in the 1998 Agreement. The two Parties have carried out a mapping exercise, which shows that North-South cooperation relies to a significant extent on a common European Union legal and policy framework. Therefore, the United Kingdom’s departure from the European Union gives rise to substantial challenges to the maintenance and development of North-South cooperation. 48. The United Kingdom remains committed to protecting and supporting continued North-South and East-West cooperation across the full range of political, economic, security, societal and agricultural contexts and frameworks of cooperation, including the continued operation of the North-South implementation bodies. 49. The United Kingdom remains committed to protecting North-South cooperation and to its guarantee of avoiding a hard border. Any future arrangements must be compatible with these overarching requirements. The United Kingdom's intention is to achieve these objectives through the overall EU-UK relationship. Should this not be possible, the United Kingdom will propose specific solutions to address the unique circumstances of the island of Ireland. In the absence of agreed solutions, the United Kingdom will maintain full alignment with those rules of the Internal Market and the Customs Union which, now or in the future, support North-South cooperation, the allisland economy and the protection of the 1998 Agreement. 50. In the absence of agreed solutions, as set out in the previous paragraph, the United Kingdom will ensure that no new regulatory barriers develop between Northern Ireland and the rest of the United Kingdom, unless, consistent with the 1998 Agreement, the Northern Ireland Executive and Assembly agree that distinct arrangements are appropriate for Northern Ireland. In all circumstances, the United Kingdom will continue to ensure the same unfettered access for Northern Ireland's businesses to the whole of the United Kingdom internal market. 51. Both Parties will establish mechanisms to ensure the implementation and oversight of any specific arrangement to safeguard the integrity of the EU Internal Market and the Customs Union. 52. Both Parties acknowledge that the 1998 Agreement recognises the birth right of all the people of Northern Ireland to choose to be Irish or British or both and be accepted as such. The people of Northern Ireland who are Irish citizens will continue to enjoy rights as EU citizens, including where they reside in Northern Ireland. Both Parties therefore agree that the Withdrawal Agreement should respect and be without prejudice to the rights, opportunities and identity that come with European Union citizenship for such people and, in the next phase of negotiations, will examine arrangements required to give effect to the ongoing exercise of, and access to, their EU rights, opportunities and benefits. 53. The 1998 Agreement also includes important provisions on Rights, Safeguards and Equality of Opportunity for which EU law and practice has provided a supporting framework in Northern Ireland and across the island of Ireland. The United Kingdom commits to ensuring that no diminution of rights is caused by its departure from the European Union, including in the area of protection against forms of discrimination enshrined in EU law. The United Kingdom commits to facilitating the related work of the institutions and bodies, established by the 1998 Agreement, in upholding human rights and equality standards. 54 Both Parties recognise that the United Kingdom and Ireland may continue to make arrangements between themselves relating to the movement of persons between their territories (Common Travel Area), while fully respecting the rights of natural persons conferred by Union law. The United Kingdom confirms and accepts that the Common Travel Area and associated rights and privileges can continue to operate without affecting Ireland’s obligations under Union law, in particular with respect to free movement for EU citizens. 55. Both Parties will honour their commitments to the PEACE and INTERREG funding programmes under the current multi-annual financial framework. Possibilities for future support will be examined favourably. 56. Given the specific nature of issues related to Ireland and Northern Ireland, and on the basis of the principles and commitments set out above, both Parties agree that in the next phase work will continue in a distinct strand of the negotiations on the detailed arrangements required to give them effect. Such work will also address issues arising from Ireland’s unique geographic situation, including the transit of goods (to and from Ireland via the United Kingdom), in line with the approach established by the European Council Guidelines of 29 April 2017. Labour party leader Jeremy Corbyn sharply divides public opinion. For my part, I think he’s neither the Messiah nor a very naughty boy – simply a politician who should mainly be judged on the policies he’s advocating today, not by dubious claims (or libellous smears) about what he may have said or done decades ago. In a speech today, he clarified some aspects of Labour’s Brexit policy, which had previously been rather vague on most points. Leaving aside his domestic policy arguments, and his critique of the government’s confusion on Brexit policy – which was accompanied by the sound of glass houses shattering – he made some key points. As for the content, the most significant point was support for a form of customs union with the EU after Brexit – or more precisely, after the post-Brexit transitional period, where the EU27 and the UK government have agreed that the customs union will continue (see my discussion of the competing proposed texts here). 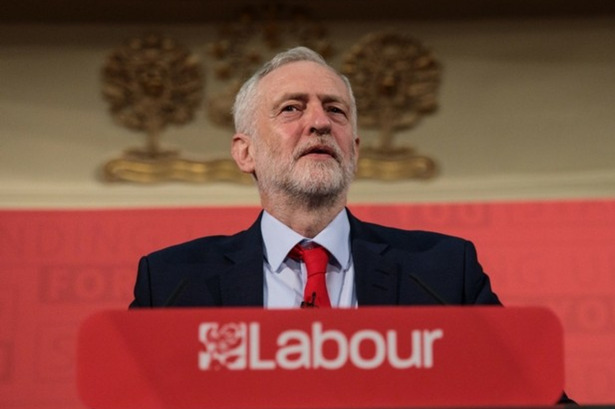 While the UK necessarily will leave the EU’s customs union on Brexit, Corbyn advocated that the UK should “seek to negotiate new comprehensive UK-EU customs union to ensure that there are no tariffs” with the EU, “and to help avoid any need for a hard border in Northern Ireland”. In other words, the UK would be leaving the customs union, but would still have a customs union with the EU. A customs union means that goods circulate freely between the parties. * It’s linked to having a uniform policy on trade policy towards non-members of the customs union, although the EU/Turkey customs union does allow for separate deals (at the cost, however, of additional checks at the border) and customs unions do not cover services issues. Corbyn went on to elaborate that the UK would have to have “a say” in future trade deals, not becoming a “passive recipient of rules decided elsewhere by others”. He did not explain further his view on two key issues: what if the EU were not willing to agree such an arrangement? And if it were agreed, what would happen if the EU was keen to negotiate a free trade deal with a certain country, and the UK was not – or vice versa? On other issues, he said little explicitly about non-tariff barriers, although his anecdote about the process of building a Mini neatly demonstrated the importance of avoiding customs checks for the car industry’s just-in-time production process. He said little about services either, besides disdain for the UK’s financial services industry. Corbyn did commit to “use funds returned from Brussels” on UK public services after Brexit – right after criticising people for “making up numbers and parading them on the side of a bus”. The problem with this promise is that the bus did not only mislead by misstating the amount of money actually sent to the EU – but also by suggesting there would be any “Brexit dividend” at all. The government’s own forecasts (which Corbyn later refers to, when it suits him) suggest a reduction in economic growth, which would entail an inevitable downturn in public revenue. He briefly mentions continued defence cooperation, but does not refer to internal security issues. Finally, he places repeated emphasis on not lowering labour, environmental, consumer and food safety standards. There’s no specific mention of the EU’s Court of Justice. Corbyn described a lot of things he supported about the EU, and also offered a shorter list of things he disliked. Let’s look at the latter first. Ian Dunt has discussed most of the arguments about privatisation et al here – pointing out, for instance, that countries with a bigger state role in the economy, like Scandinavian social democracies, also exist as EU members. As for the posted workers’ Directive, a revision which might address Corbyn’s concerns is well underway: the text of the Council’s position (now being negotiated with the European Parliament) on that revision is here. But that is inevitably linked to the things that Corbyn liked about the EU. The key question here is: in legal terms, what exactly (besides a customs union) would the EU/UK relationship look like? Presumably some form of ad hoc relationship to the single market. This sounds a lot like what the government is aiming for, except that the Conservatives are troubled by the thought of making many commitments on issues which Corbyn is keen about (regulation of product standards, labour and environmental law, tax avoidance), and conversely relaxed about the issues that Corbyn would want exemptions from (competition and state aid). But as long as the EU side regards such suggestions as “cherry-picking”, there’s no reason to assume that a red unicorn is any more politically feasible than a blue unicorn. Now for the most concrete part of the Corbyn speech: the customs union commitment. This might be simply a tactical move designed to make life difficult for the government, since some Conservative MPs also support the idea. But it’s not surprising that politicians play politics. As for the broader political impact of the move, an interesting article by Duncan Robinson provides evidence that there is not a huge public demand for more free trade deals, especially among Leave voters, and that trade policy was not a major factor in the Leave vote. It’s possible that enthusiasm for free trade deals is even less among Labour Leave voters – leaving Corbyn freer to placate Labour Remain supporters by endorsing a link to the EU on this issue, without irritating Labour Leave voters unduly. Indeed, Corbyn’s speech was critical of the prospects of trade deals with the US and China, from a Labour perspective. In fact there is also support for Labour’s customs union position from a business perspective – suggesting there is not a vast business demand to exit some form of customs union. The Confederation of British Industry backed the customs union aspects of the Corbyn speech, and the Institute of Directors earlier proposed a more detailed (but probably more limited) form of customs union themselves. 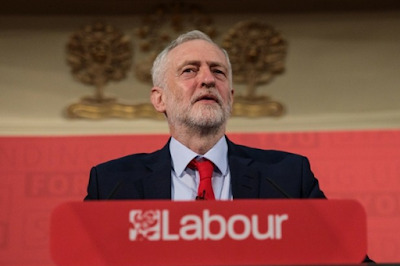 Corbyn himself noted that the government’s economic assessments suggest that future free trade deals would only have a modest economic benefit. What about the counter-arguments against staying in a form of customs union? The “Labour Leave” organisation may well call it a “betrayal” of the Brexit vote, although it’s striking to note that this “Labour” body has received major amounts of funding from Conservatives. Some non-EU countries do have a customs union with the EU, as noted above, and there was no “customs union” box on the referendum ballot paper. Some call a customs union a “protectionist racket”. But most countries have some form of trade protection against foreign goods; a customs union is merely a mechanism of agreeing such rules by a group of countries collectively. Along the same lines, it’s suggested that a customs union prevents its parties “trading with the world”, but many EU countries (including the UK) have a significant trade with non-EU countries, and the EU has a number of free trade deals in force or under negotiation, as detailed here. As for “starving the poor”, the impact of EU trade policies on developing countries is often exaggerated – given that the EU has a number of free trade deals with and unilateral tariff preferences for developing countries, especially for the very poorest, as discussed here. Some would prefer to abolish all tariffs, but there’s no mandate from the referendum or the last election for that policy, which would leave the UK with little or no negotiating capital in talks with the EU or anyone else. And since that policy’s chief proponent, Professor Patrick Minford, accepts (indeed advocates) that it would “mostly eliminate manufacturing” in the UK, it’s not surprising that this policy has no appeal to the Labour party. Time will tell whether today’s speech simply set out a Labour Brexit policy, designed as a short-term tactical shot across the bows of the Conservative party to be developed further later; or the Labour Brexit policy, left deliberately vague on many points to continue to serve as a compromise position designed to appeal to significant numbers of both Leave and Remain supporters. In any event, its political significance is that it creates a clear distinction between the Brexit policies of the two largest parties. *clarification added 27 Feb 2018: I'm referring to free circulation of goods within the definition of the EU's customs union set out in Article 29 TFEU. That doesn't mean the same thing as "no border checks"; as the Corbyn speech recognises, a customs union agreement would only "*help* to avoid any need for a hard border in Northern Ireland". 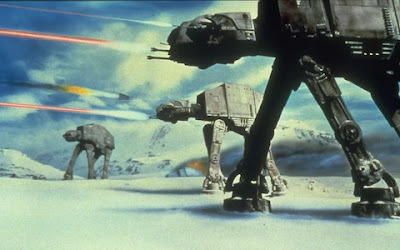 Annotation of the proposed Withdrawal Agreement, version 2: The Empire 2.0 Strikes Back? Earlier today, the UK government tabled its response to the EU Commission’s proposed text of part of the Brexit withdrawal agreement. This blog post updates my first version of the ‘running commentary’ on the draft text of the agreement as it develops, to take account of the UK’s position. To summarise the points I made in the first version: a) ultimately the withdrawal agreement (if it is successfully negotiated and comes into force) will be the key legal text governing the Brexit process as such; b) however, there will be post-Brexit treaties governing the future relationship between the EU and the UK (for instance, see my recent post on future treaties on security); c) this is only a partial text, concerning the transitional period (in EU27 jargon) or implementation period (in UK jargon) and possibly some (probably not all) of the part on common provisions; d) the Commission proposal is not yet the official position of the Council; e) as the draft agreement takes shape, it becomes feasible legally to ask the ECJ for its opinion on it (the Court could fast-track such an opinion); and f) the numbering of Articles is provisional for now. For clarity, starting from this edition, I have divided the annotation of each of the proposed Articles into three sections: the UK position; the background to the Commission proposal; and my comments. Obviously, all the sections on the UK position are new. I have updated my comments on each proposed Article to include discussion of the UK position, where relevant; all new comments are underlined. In addition to the parts of the withdrawal agreement on the transition or implementation period and common provisions, there will be parts dealing with governance and dispute settlement, the financial settlement, the rights of EU27 and UK citizens who moved before Brexit day, the Irish border, and on ‘winding up’ the UK’s involvement with EU law. According to the press, further texts from the EU27 side will be proposed on February 28th. For convenience, here is a summary of the main differences between the UK and the EU Commission position: a) the UK would explicitly exclude new Treaty amendments from applying to the UK; b) the UK wants to discuss flexibility over the end date of the transition period; c) the UK wants to be excluded from more EU measures; d) conversely, the UK wants more power to opt in to justice and home affairs measures; e) the UK wants to provide for a possible early replacement treaty on policing and criminal law; f) the UK wants more consultation rights on new EU laws and international relations; g) the UK questions the need to prevent UK bodies from making risk assessments; h) the UK wants a different approach to “rolling over” international treaties; i) the UK wants more power to become bound by international treaties; j) the UK wants a different approach to dispute settlement, along with a good faith clause; and k) the UK wants to agree fisheries catches separately with the EU, rather than just be consulted. It should be noted that the detailed provisions relating to the financial settlement aspects of the transition will be covered under the Financial Provisions of the Withdrawal Agreement. In addition to the elements contained in the Joint report of 8 December 2017, the Financial Provisions of the Withdrawal Agreement should also cover the financing, during the transition period, of the relevant Common Foreign and Security Policy and Common Security and Defence Policy agencies or operations on the basis of the same contribution key as before the withdrawal date. Moreover, the Commission proposal did not refer to the EU27 position that acquired rights for EU27 citizens who moved to the UK, and for UK citizens who moved to the EU27, will still be obtained for those who move during the transition period. The UK government has contested this suggestion publicly, but its paper does not mention this point. (vi) decisions and agreements of the Representatives of the Governments of the Member States meeting within the European Council or the Council. UK position: The UK proposes that this text appears in the Withdrawal Agreement section of the agreement, instead of the section on Common Provisions. It labels it “Article XA” and gives it the title “Definitions”. Substantively, the UK takes a partly different approach from the Commission, suggesting definitions for “acts”, “Treaties”, “bilateral international agreement” and “Union law”. “Acts” are defined by reference to various EU measures; “Treaties” only includes Treaty amendments before Brexit day; “bilateral international agreement” means those treaties which the EU entered into as a bloc; it’s clarified that Treaty Annexes, Protocols etc are covered; and acts adopted during the transitional/implementation period are explicitly covered. Background: The text here is taken from footnote 1 to the Commission proposal, which reads: “The Withdrawal Agreement will contain, in its Part on Common Provisions, an article defining Union law as meaning:…” This text reflects (and fleshes out) the first sentence of para 13 of the negotiation directives, which say that the transition rules should cover “the whole of the Union acquis, including Euratom matters”. Comments: This text could be compared a contrario to the text of an accession treaty to the EU. Oddly, there is no explicit mention of the EU Charter of Rights in either the Commission or UK draft; although it is referred to in the Treaties and legislation, it is a separate legal text. The UK’s position excluding the application of post-Brexit Treaty amendments to the UK is an important clarification, although it is not explicitly clear whether or not the Commission intended such amendments to apply. 1. The provisions of this Agreement referring to concepts or provisions of Union law in their implementation and application are interpreted in conformity with the relevant decisions of the Court of Justice of the European Union given before the end of the transition period. 2. Where a provision of Union law is amended, supplemented or replaced during the transition period, the reference to this provision of Union law is to be read as referring to the amended, supplemented or successor provision, provided that the change takes effect before the end of the transition period. UK position: Accepted in principle, but the UK suggests technical changes – inserting para 1 into Article X+1 (discussed below), and adding a reference to the Commission. Para 2 is apparently covered by the UK proposal on definitions. Background: The text here is also taken from footnote 1 to the Commission proposal, which reads: “The Part on Common Provisions will also contain an article to the effect that…” the text of paragraph 1, and “Furthermore, a specific article of the Part on Common Provisions will clarify that…” the text of paragraph 2. I have added a suggested heading for the title of the Article. It is possible that these will end up as separate Articles. There might be other rules added on interpreting the withdrawal agreement. Comments: If they appear in the Common Provisions of the agreement, these cross-references to the development of case law or legislation during the transition period will presumably also apply to the citizens’ rights and financial settlement provisions of the agreement. The UK government is particularly concerned about being bound by EU legislation adopted during the transition period without its involvement, although note that in the Commission proposal this rule only applies where existing law is amended and where that amendment "takes effect" before the end of the transition period. Possibly point (iii) in the previous Article is meant to cover cases of brand new legislation, but this is unimpressive drafting. Also, the term “takes effect” is unclear: Directives enter into force immediately, but only have full legal impact after the deadline to transpose them, which is usually two years later. The UK’s approach in its proposed definitions clause is simpler and clearer. The UK also suggests a “good faith” clause to deal with new EU legislation it disagrees with (see discussion below) but does not propose a text for this. In any event, the Commission proposals do not reflect para 59 of the December joint report on progress in the Brexit talks, which states that future changes to the basic EU funding and spending laws which affect the UK will not apply to it, which would for instance prevent any changes being made to the UK rebate after it loses its power to veto such changes. However, as noted above, the Commission states that issues relating to the financial settlement will be in a separate part of the withdrawal agreement, so this issue might be covered there. (c) the participation in the decision-making and governance of the bodies, offices and agencies of the Union; […]. UK position: the UK comments on the proposed Article X+2 accept this clause, with only technical amendments. Background: The text here is taken from footnote 2 to the Commission proposal, which reads: “The Withdrawal Agreement will contain, in its Part on Common Provisions, the following:” I have suggested a title for the Article. I refer to this as “Article NN” because the proposed Article X+2(1), which refers to it, does so (see below). There will likely be other Articles in the “Common Provisions” part of the agreement. It is not clear why there are deleted words in point (c). Note that the proposed Article X+2(4) includes a derogation from this Article, allowing some limited participation of the UK in EU bodies as an exception. This text reflects the second sentence of para 13 of the negotiation directives, which states that “the Union acquis should apply to and in the United Kingdom as if it were a Member State”, as well as the final sentence of para 18 and the first sentence of para 19 on the exclusions from a UK role in the institutions. Comments: While the Treaties only refer to Member States as having a full decision-making role within EU institutions, there is nothing to rule out consultation with non-Member States. Indeed, the Schengen association agreement with Norway and Iceland gives them consultation rights at ministerial level. The notion that the UK is expected to apply new EU law (see the previous Article) without even being informally consulted on the relevant proposals therefore has a vindictive tinge to it. In any event, the proposals do not reflect para 30 of the December joint report on progress in the Brexit talks, which states that there should be a system to decide jointly on the incorporation of future amendments to the social security rules in the withdrawal agreement. There shall be a transition period, which shall start on the date of entry into force of this Agreement and end on 31 December 2020. UK position: the UK prefers the term “implementation period”, and then uses the word “Period” throughout its version of this text. It also places the end date in square brackets, which means the text is for discussion. In the UK view, the end date should not be fixed but needs to be flexible to take account of the implementation process. Background: The Commission’s proposed text reflects para 22 of the EU Council negotiation directives. Comments: The Commission’s proposed end date is convenient for the EU27 side as it corresponds with the end of the current multi-annual EU budget cycle. The UK’s desire for a more flexible date reflects its uncertainty about the timing of being ready post-Brexit, although its paper refers to a transition/implementation period of “around two years”, as the Prime Minister has mentioned before. Any prospect of providing in the withdrawal agreement itself for an indefinite renewal of the transition/implementation period could raise legal issues as to whether this falls beyond the scope of Article 50 TEU. As the Commission’s proposal stands, the transition period could not be extended unless another clause is added in the withdrawal agreement to allow for this. If no such clause is added, extending the transition period after Brexit day would need a new treaty adopted on a different legal basis than Article 50 (which only applies to the withdrawal process) which would need to be adopted by unanimity and possibly also ratification by national parliaments (although some or all of the treaty could apply provisionally while national ratification was taking place). Note that Article X+1(2), discussed below, provides conversely for part of the transition period to be curtailed as regards foreign policy issues. 1. Unless otherwise provided in this Part, Union law shall be binding upon and applicable in the United Kingdom during the transition period. UK position: the UK would split this into paragraphs (1) and (1a). In paragraph 1, the UK accepts the wording of the Commission’s proposed first sub-para “Unless otherwise provided in this Part, Union law shall be binding upon and applicable in the United Kingdom during the transition period”, except for the word “transition”. An explanatory note makes the point that this clause should be understood as reciprocal, ie the EU would still have obligations to the UK. The UK version of the first exclusion clause would also exclude international agreements related to the opt-out clauses, as well as the policing and criminal law measures it opted out of in 2014 pursuant to the Lisbon Treaty protocol on transitional provisions. The UK would move the second exclusion clause to an Annex, and exclude a number of other Treaty clauses: Article 10(4) TEU (EU political parties); Article 12 TEU (provisions on national parliaments, apart from 12(a), on consultation of national parliaments); Article 20 TEU (enhanced cooperation); Article 69 TFEU (national parliaments and JHA measures); Article 223 TFEU (some rules relating to the European Parliament); Articles 293-297 TFEU (some rules on the decision-making process); Articles 326-334 TFEU (enhanced cooperation, except the UK could still opt in to JHA measures it had opted out of, by using this process); Article 353 TFEU (Treaty amendments); Article 354 TFEU (suspension of EU membership); part of the Protocol on national parliaments; and some provisions of the Euratom treaty. Background: The rules about what is included in the scope of UK obligations appear as a proposed Article discussed above. In the Commission proposal sub-paragraph 1(a) keeps the UK’s existing opt outs from the single currency, Schengen, Justice and Home Affairs (JHA) law and enhanced cooperation (a system where some Member States go ahead and adopt EU law without the others), except where the UK opted in to EU laws in these areas before Brexit day. The JHA exclusion reflects the final sentence of para 13 of the negotiation directives; the other exclusions are not mentioned in those directives. Comments: The UK’s concern about reciprocal application of the obligations by the EU too is valid. This clause should be amended to make clear that both sides will continue to apply the relevant EU law to the other side. There is no opt-out from Treaty amendments in the Commission proposal, but in the UK version of the “definitions” clause there would be. It is odd that the text does not exclude the UK from “permanent structured cooperation” in the area of defence, given that the UK decided to opt out when most Member States decided to trigger that process recently. Sub-paragraph 1(a) excludes the Treaty rules and legislation related to the European citizens’ initiative (on that process, see the case law discussed here) and also voting and standing for office in the European Parliament and local government. There is a need for a transitional clause to deal with the situation of those EU27 citizens who were elected to local government in the UK (and vice versa) before Brexit day. Conversely other EU citizenship provisions will logically still apply. This includes the “Ruiz Zambrano” case law on UK citizen children with non-EU parents, which I discussed here. The UK’s suggested additional exclusions are mostly consistent with the rest of the text, although the EU27 side might not agree that the UK can opt in to JHA measures it did not opt in to before Brexit day. To be consistent with the UK’s proposed exclusions from the TFEU rules on suspension and amendment, surely it should also be excluded from Articles 7 and 48 TEU, dealing with the same issues. 2. Should an agreement between the Union and the United Kingdom governing their future relationship in the area of the Common Foreign and Security Policy and the Common Security and Defence Policy become applicable during the transition period, Chapter 2 of Title V of the TEU and the acts adopted on the basis of those provisions shall cease to apply to the United Kingdom from the date of entry into force of that agreement. UK position: Agreed with only technical amendments suggested. Background: This proposed clause is partly consistent with a statement adopted by the Council when it adopted the negotiation directives. However, that statement also referred to the “fight against terrorism and international crime”, which are JHA issues. Comments: This is the one field where the Commission’s proposal contemplates an early end to the transitional period. By contrast, the UK Prime Minister’s Florence speech referred to the possibility of ending the transitional (or ‘implementation’) period early for a number of issues at different times. An early end to the transition period in this field would avoid the awkward situation where the UK becomes bound by foreign policy measures which it could have vetoed if it were a Member State. It would also end a possibility for linking defence issues to trade issues, although the policy in the Florence speech (and since) was not to insist upon such a link. As noted above, a more recent speech by the Prime Minister (discussed here) goes into more detail on this issue. Legally it is questionable whether the UK and EU would actually be constrained by the withdrawal agreement if they wanted to sign a treaty replacing these rules in other fields of EU law during the transition period. 3. During the transition period, the Union law applicable pursuant to paragraph 1 shall deploy in respect of and in the United Kingdom the same legal effects as those which it deploys within the Union and shall be interpreted and applied in accordance with the same methods and general principles as those applicable within the Union. Background: This proposed para transposes para 14 of the Council negotiation directives, which refer explicitly to the direct effect and supremacy of EU law. (b) within the framework of which no acts have been adopted before the date of entry into force of this Agreement. UK position: Agreed in principle, but with a different approach to drafting – these measures would be referred to in an Annex, rather than in this Article. Background: This paragraph is not reflected in the Council negotiation directives. Comments: This clause is particularly relevant to the proposal on the financial transaction tax, which is subject to the enhanced cooperation process (without UK participation) but where there is no agreement yet (see more on the background to the tax proposal here). If this para is agreed, the suggestion that the UK might somehow become bound as such by the tax during the transition period is therefore, as things stand, frankly scaremongering. There is a risk that the tax would have some extraterritorial effect upon the City of London, but that risk would equally exist if the UK were still a Member State, since it could not veto an enhanced cooperation measure that it was not participating in. 5. In relation to acts adopted pursuant to Title V of Part III of the TFEU by which the United Kingdom is bound before the date of entry into force of this Agreement, Article 5 of Protocol (No 19) on the Schengen acquis integrated into the framework of the European Union and Article 4a of Protocol (No 21) on the position of the United Kingdom and Ireland in respect of the area of freedom, security and justice shall continue to apply during the transition period. The United Kingdom shall, however, not have the right of opt-in provided for in those Protocols to measures other than those referred to in Article 4a of Protocol No 21. UK position: Agreed in principle, with different drafting and the addition of the power to opt in to an international agreement which was not yet in force on Brexit day. However, the UK proposes three more clauses on this issue, which would allow it to opt in to new measures if agreed with the EU, and would provide for an early removal of this issue from the withdrawal agreement. As noted above, this is consistent with a statement of the Council, but not the Commission’s proposal. It is also the subject of a recent speech by the Prime Minister. For an analysis of the speech and a proposed treaty, see here. Background: This paragraph is reflected in the fourth sentence of para 13 of the Council negotiation directives. Comment: The Commission proposal means that the UK can opt in to new JHA laws amending JHA laws which it is already bound by. Note that the UK has already opted out of the ‘Dublin IV’ proposal on allocation of asylum seekers, so the suggestion that it could be bound by that law during the transitional period is pure scaremongering. 6. Unless otherwise provided in this Part, during the transition period, any reference to Member States in the Union law applicable pursuant to paragraph 1 shall be understood as including the United Kingdom. However, where acts of the Union provide for the participation of Member States, nationals of Member States or natural or legal person residing or established in a Member State in an information exchange, procedure or programme and where such participation would grant access to sensitive information that a third country or natural or legal person residing or established in a third country is not to have knowledge of, these references to Member States shall be understood as not including the United Kingdom. UK position: the UK accepts the first sub-paragraph, apart from the word ‘transition’ and an additional reference referring to an annex with some ‘horizontal provisions’ – such as that all references to the “European Union” include the UK. The UK sees little point to the second sub-paragraph and has placed it in square brackets for further discussion. Background: The first sub-paragraph reflects the second sentence of para 13 of the Council negotiation directives. However, the second sub-paragraph does not reflect those directives. Comments: It seems that the Commission is concerned that the UK might hand information over to non-EU countries without authorisation, whereas the UK cannot see the point of this concern. 1. Notwithstanding Article X+1, during the transition period [points (a), (b) and (c) of Article NN from the Common Provisions] shall apply. See the text of “Article NN”, discussed above. As a reminder, this Article removes the UK from the EU institutions and other bodies. The UK accepts this paragraph, as well as (as noted above) the text of Article NN, with only technical amendments. 2. For the purposes of the Treaties, during the transition period, the parliament of the United Kingdom shall not be considered to be a national parliament. UK position: the UK accepts this but a purely technical amendment would move it to an Annex. Background: This sub-paragraph does not explicitly reflect anything in the Council negotiation directives. Comments: It arguably is implicit that if the UK is not part of the EU institutions, there is no requirement to consult the UK’s national parliament on proposed EU measures. But even if there is no longer a legal obligation to do so, it is hard to see what harm would be caused by consulting the UK parliament, or what legal rule would prevent the EU agreeing to do so outside the context of the formal role for national parliaments of Member States set out in the Treaties. 3. For the purposes of Articles 282 and 283 TFEU and of Protocol (No 4) on the Statute of the European system of central banks and of the European Central Bank, during the transition period, the Bank of England shall not be considered to be a national central bank. UK position: the UK accepts this with a technical amendment but seeks to confirm that all other references to central banks will still include the UK. Comments: Arguably it’s implicit that if the UK is not part of the EU institutions, it follows that the Bank of England does not have the status of a national central bank in its relations with the ECB. (b) the presence of the United Kingdom is necessary and in the interest of the Union, in particular for the effective implementation of Union law during the transition period. During such meetings or parts of meetings, the representatives or experts of the United Kingdom or experts designated by it shall have no voting rights and their presence shall be limited to the specific agenda points that fulfil the conditions set out in point (a) or (b). In the invitation to be sent to representatives or experts of the United Kingdom or to experts appointed or designated by it, the chair of the meeting concerned shall clearly identify the agenda points for which their attendance is allowed. UK position: Consultation would not be case-by-case or exceptional; the test of ‘necessary and in the interests of the Union’ would be dropped; this would extend to international agreements; and the restriction on voting would be dropped (although it is covered by Article NN). Note that the UK also suggests a new paragraph 4a, under which proposals other legal acts would also be sent to the UK for consultation. Background: The first half of this sub-paragraph reflects para 19 of the Council negotiation directives, and the second half elaborates upon that rule. Note that a statement by the Commission commits itself to issue a guidance document on how to apply this rule consistently in practice. A footnote refers to the official publication of Regulation 182/2011, which sets out general rules for Member States’ participation in committees which govern the Commission’s use of implementing powers. Comments: As in the rest of this Article and Article NN, it is questionable whether it is really necessary to limit the UK’s purely consultative role to this extent. Certainly there is only a weak argument that it is legally required. 5. During the transition period, the United Kingdom shall not act as leading authority for risk assessments, examinations, approvals and authorisation procedures provided for in Union law. UK position: the UK sees no point to this provision, and has placed it in square brackets for discussion. Comments: It is not so obviously implicit that the UK’s exclusion from the EU institutions means that it cannot have a role as lead authority in risk assessment et al. Put another way, this is arguably an issue of EU substantive law – where the UK will in effect remain a Member State during the transition period – rather than EU institutional law, where it will not. 1. Without prejudice to Article X+1(2), during the transition period, the United Kingdom shall be bound by the obligations stemming from the international agreements concluded by the Union, or by Member States acting on its behalf, or by the Union and its Member States acting jointly. 2. During the transition period, representatives of the United Kingdom shall not participate in the work of any bodies set up by international agreements concluded by the Union, or by Member States acting on its behalf, or by the Union and its Member States acting jointly. Background: These two paragraphs transpose para 17 of the Council negotiation directives. Comments: The Commission text of these provisions entail the UK still being bound to the EU as regards treaties with non-EU states. Logically this applies vice versa and it would be preferable to spell that out directly. It should follow that individuals can still invoke the direct effect of such treaties (where it exists) in the UK during the transition period (for instance, Turkish citizens with rights under the EU/Turkey association agreement framework). However, the UK is not bound to non-EU countries to apply such treaties; neither can non-EU countries directly invoke such treaties against the UK. Since this could in particular affect UK exports, it makes sense for the UK to focus on replicating such treaties: see para 4 below. The UK’s alternative approach would circumvent this, but its proposed version of the withdrawal agreement would bind non-EU countries, which is untenable as a matter of international law. This seems to contradict the UK government’s own technical note which accepted that non-EU countries would have to agree by a simplified process that the UK would still be regarded as part of the EU during the transitional period. 3. In accordance with the principle of sincere cooperation, the United Kingdom shall abstain, during the transition period, from any action or initiative which is likely to be prejudicial to the Union's interests in the framework of any international organisation, agency, conference or forum of which the United Kingdom is a party in its own right. UK version: Delete this para since this legal obligation applies to the UK anyway. Comments: This para explicitly sets out the obligation that would anyway arguably still apply implicitly, since other EU Treaty provisions on sincere cooperation would still be applicable to the UK. The UK’s proposed deletion therefore makes sense. Note that the UK would presumably have more freedom to act once any early post-Brexit treaty on EU/UK security and defence cooperation or policing and criminal law came into force (see Article X+1 above). 4. During the transition period, the United Kingdom may not become bound by international agreements entered into in its own capacity in the areas of exclusive competence of the Union, unless authorised to do so by the Union. UK version: Accepted with the addition of the power to become party to treaties concerning the continued application of pre-Brexit agreements. Background: This para transposes the wording of the final sentence of para 16 of the Council’s negotiation directives, with the important change that it only applies to ‘exclusive’ competence of the EU. This change narrows the limits on the UK’s external action. Comments: Note that the exact extent of exclusivity of EU external competence is often disputed and even litigated. Some discussion of the EU27 position on the transition period suggests that the UK would be banned from signing treaties, but this is false: rather the UK could do so, but only with authorisation, and that limit would only apply within the area of exclusive EU competence. Also, note that the restriction is on the UK becoming ‘bound by’ international treaties during the transition period, not upon negotiation or signing such treaties. However, it might be argued that such negotiations would breach para 3 of this Article, although the obvious counter-argument from the UK would be that a treaty which does not apply until after the transition period could not affect the Union’s interests given that the UK will no longer be bound by EU law as such after that point. There is no mention of the process of approval of the UK becoming bound by treaties. Note that one of the statements attached to the Council negotiation Directives says that the Council will approve the UK becoming bound by such treaties, in accordance with the usual Treaty rules. The UK’s proposal that it would not need authorisation to agree be bound by treaties which simply continue pre-Brexit rights and obligations in force makes sense, although from the EU27 there might be a valid concern that without some sort of consultation process such a clause could be used to do more than copy the UK’s previous rights and obligations. 5. Without prejudice to Article X+1(2), whenever there is a requirement for coordination, including on sanctions policy, or representation in international organisations or conferences, the United Kingdom may be consulted by the Commission or the High Representative of the Union for Foreign Affairs and Security Policy, as the case may be, on a case-by-case basis. UK position: This para would be amended: to make consultation mandatory; to “recognise the need” for it rather than applying “whenever there is a requirement”; to drop “on a case by case basis” and to provide for further modalities to be agreed. Background: This para is not reflected in the Council’s negotiation directives. Comments: This paragraph takes account of the UK’s significant foreign policy rule, in particular regarding sanctions. It’s conceivable, due to the loss of the UK veto over EU foreign policy during the transition period, that the UK could be legally bound to use (or not to use) its Security Council veto during the transition period. As with para 3, in the foreign policy context the UK would presumably have more freedom to act once any early post-Brexit treaty on EU/UK security and defence cooperation came into force (see Article X+1(2) above). Given the central importance of foreign and defence policy the UK’s proposal for mandatory consultation more generally makes sense. 6 During the transition period, the United Kingdom shall not provide commanders of civilian operations, heads of mission, operation commanders or force commanders for missions or operations conducted under Articles 42 to 44 TEU, nor shall it provide the operational headquarters for such missions or operations. During the transition period, the United Kingdom shall not provide the head of any operational actions under Article 28 TEU. UK position: placed in square brackets for discussion. Background: This para is not reflected in the Council’s negotiation directives, although it is consistent with the overall thrust of removing the UK from roles in EU bodies. As regards the fixing of fishing opportunities within the meaning of Article 43 TFEU for any period prior to the end of the transition period, the United Kingdom shall be consulted by the Commission during the decision-making process within the Council and during international negotiations in respect of the fishing opportunities related to the United Kingdom. Background: The Commission draft reflects para 21 of the Council negotiation Directives, which states that “Specific consultations should also be foreseen with regard to the fixing of fishing opportunities (total allowable catches) during the transition period, in full respect of the Union acquis.”. Comments: If the transition period ends as proposed at the end of 2020, this would only be relevant for one year. It could continue for longer if the UK’s suggestion of a more flexible time limit is accepted. The UK’s position differs significantly from the Commission draft in providing for a separate negotiation process on fishing opportunities, and in providing for UK to negotiate separately in international bodies, which would amount to an exception to Article X+3(2) of the Commission draft. Whether the UK could enter into fisheries treaties would be addressed by Article X+3(4). A reasonable compromise between the UK and EU27 positions would be to guarantee in the withdrawal agreement that the EU decisions on catches in UK waters made during the transitional/implementation period must be based on the rules which applied before Brexit Day. During the transition period, the institutions, bodies, offices and agencies of the Union shall have the powers conferred upon them by Union law also in relation to the United Kingdom and natural and legal persons residing or established in the United Kingdom. In particular, the Court of Justice of the European Union shall have jurisdiction as provided for in the Treaties. UK position: Accepts this provision (apart from deleting the second sentence for technical reasons) but implicitly rejects a related Commission footnote, discussed further below. The UK also suggests powers for a Joint Committee to discuss and settle disputes relating to this part of the agreement, as well as the idea of a “good faith” clause (with no text proposed). Comments: The most controversial part of this proposal is a footnote 4 here which states as follows: “In addition, the Governance and Dispute Settlement Part of the Withdrawal Agreement should provide for a mechanism allowing the Union to suspend certain benefits deriving for the United Kingdom from participation in the internal market where it considers that referring the matter to the Court of Justice of the European Union would not bring in appropriate time the necessary remedies.” Since there is no suggested text of this clause, I have not inserted this point separately into this proposed draft of the agreement. While sanctions in general are common remedies for breaches of treaties in international law, and the disapplication of some provisions of an agreement is common in EU treaties with non-EU states in particular, this specific suggestion in the context of the withdrawal agreement negotiations is highly legally and politically problematic. As a matter of principle, this approach is contradictory: the Commission thinks that the UK should be a Member State fully covered by the Treaties, plus a special rule ought to apply which is similar to those in international treaties in which non-EU countries have a more distant relationship with the EU. On the contrary: substantive status quo membership should mean substantive status quo membership. Moreover, this issue is not referred to in the Council negotiation directives; in fact, creating such a special rule contradicts the position in those directives that the EU institutions shall have their normal enforcement role. Arguably it also interferes with the ‘essential nature’ of the jurisdiction of the ECJ, contradicting the rule in ECJ case law on its jurisdiction in treaties with non-EU countries. The argument about timing of ECJ action is unconvincing, since the Commission can ask for interim measures in ECJ proceedings, and the deadlines to apply many of the laws concerned would fall after the end of the transition period. While the UK could presumably challenge the legality of any sanctions decision in the EU courts, as this proposal does not limit the UK’s standing to sue EU institutions during the transition period, the issue is whether such a power should exist in the first place. Furthermore, the footnote makes no reference to the dispute settlement process that would usually precede such a sanction, or to the limits on the proportionality of such measures found in treaties such as the EEA. The suggestion ignores the careful balance found in the EEA, where partial disapplication of the Treaty could only follow a decision by Norway et al not to apply a new law within the scope of the EEA; but there is no such potential power to refuse to apply a new EU law foreseen for the UK. It is not clear whether the proposed sanction would only apply to breaches of the transitional rules (and if so, which), or to other parts of the withdrawal agreement too. The proposal is then not only legally and politically questionable, but poorly thought out and justified, not only breaching the Commission’s obligations as EU negotiator but also spreading ill will in the negotiations. The phrase “frolic of the Commission’s own” scarcely does justice to the problematic nature of this proposal. As for the UK proposal, it is carefully drafted not to impinge upon the autonomy of EU law, since it would not give the Joint Committee power to take a decision which binds the EU institutions or Member States as regards the interpretation of EU law within the EU. However, the role of the Joint Committee could potentially come into conflict with the jurisdiction of the ECJ interpreting the agreement. For instance what if the UK was exempted from a new law, but someone argued in a UK court that it should not have been, and the UK court asked the ECJ to interpret the withdrawal agreement? Also the proposal does nt make clear what happens if the parties cannot agree on a resolution of a dispute within the Joint Committee. In general, though, the UK proposal comes closer to the normal rules on the position of non-EU countries under international agreements, although it still maintains the same flaw as the Commission proposal of treating the UK as an EU and a non-EU country at the same time. The United Kingdom shall be bound by the Convention defining the Statute of the European Schools until the end of the school year that is ongoing at the end of the transition period. Background: There is a footnote referring to the text of the Convention. 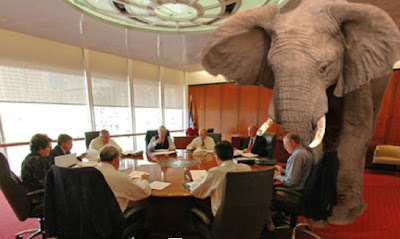 This issue was not referred to in the Council negotiation Directives.